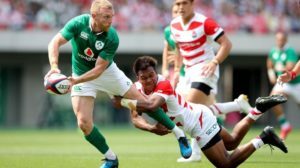 Ireland have been drawn in pool A along with hosts Japan, Six Nations rivals Scotland, Russia from the Rugby Europe International Championship, and the play-off winner, Samoa. 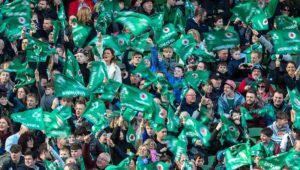 View our packages for Rugby World Cup 2019. Pool A: Ireland. Scotland. Japan. Russia. Samoa. Pool B: New Zealand. South Africa. Italy. Namibia. Canada. Pool C: England. France. Argentina. USA. Tonga. Pool D: Australia. Wales. Georgia. Fiji. Uruguay.